ET Engineering is proud to announce its new MIL‑STD‑188‑203‑1A (ATDS) Conduction Cooled Interface Adapter fully compliant to the ANSI/VITA‑20‑2001 Conduction Cooled PMC Standard. This adapter provides a TADIL‑A Serial Interface functioning either as a Data Terminal Set (DTS) or Terminal Data System (TDS). 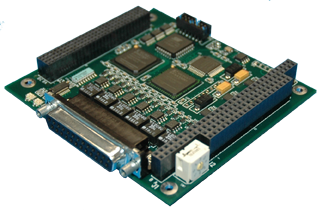 All configuration parameters are accessible through a simple software interface with FPGA‑controlled DMA channels to reduce host CPU overhead. GET Engineering’s family of PCI ATDS adapters provide new levels of reliability and performance for interfacing to the MIL‑STD‑188‑203‑1A (TIDAL-A). This new adapter is ideal for PCI embedded designs requiring high performance, fast processing, and low power dissipation. Our proprietary Common Driver Design API allows the programmer to write interchangeable application software. 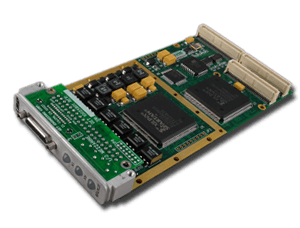 GET’s VME Interface Adapters offer the highest levels of performance and flexibility available on any ATDS VME board in the market. Our proprietary Common Driver Design API allows the programmer to write interchangeable application software.